a piece of fan art for this fantastic tv show! Here’s my riff, inspired by the amazing film Spider-Man: Into the Spider-Verse. Anyone can wear the mask—here’s my version! Winning entry for Tumblr Battling Boy fan art contest. 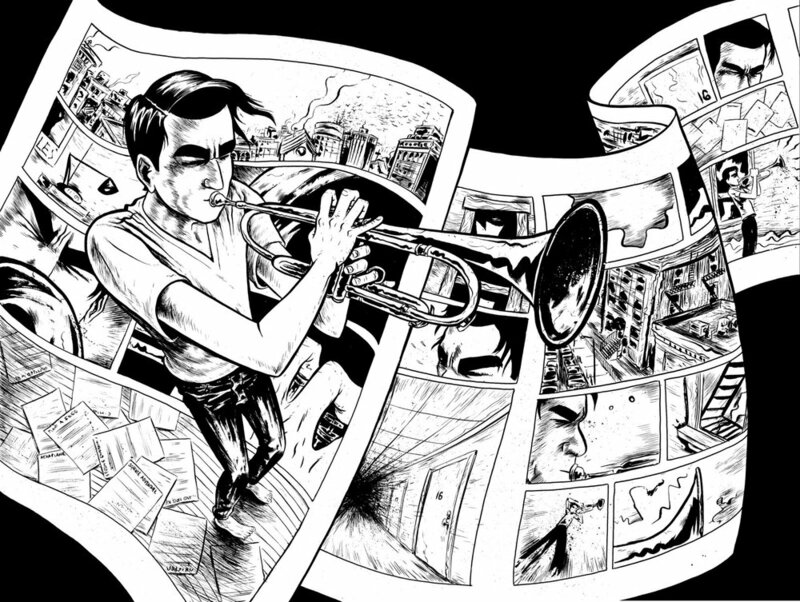 page from Tyranny of the Muse published by Study Group Comics.